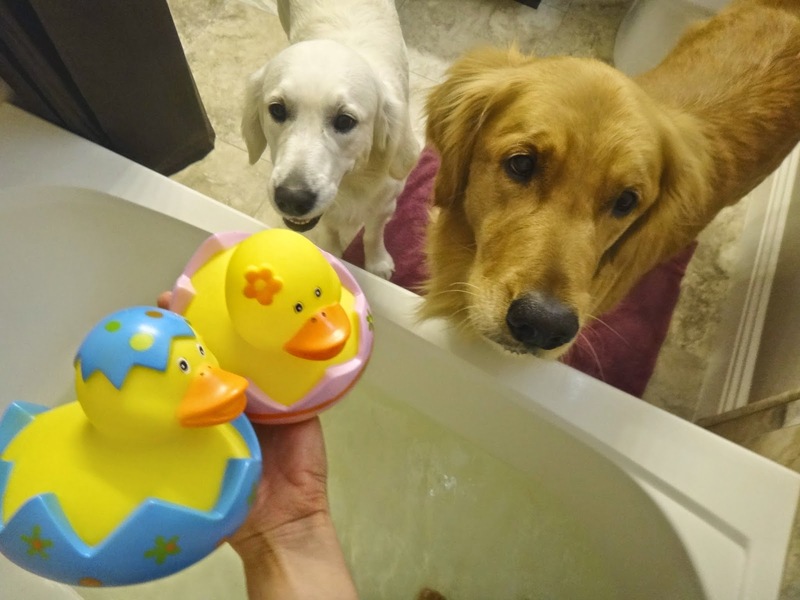 Booton: "Welcome to the bath family♪"
Mommy: "OK, everyone. 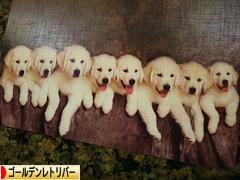 Today's entertainer is Duckie boy and Duckie girl♪"
Duckie boy: "They are Goldens. They could eat you up, so please be careful, OK?" Duckie girl: "OK, Duckie boy." Mommy: "Look, Kona. 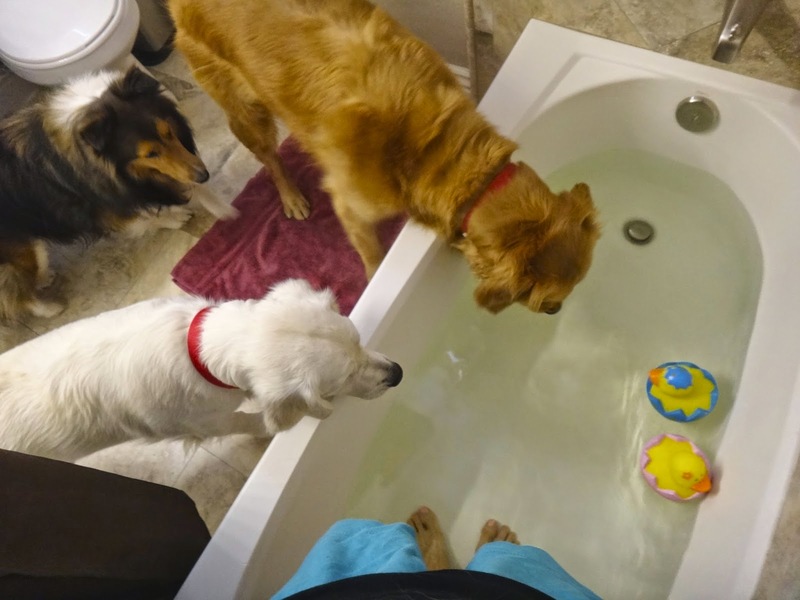 They want to entertain you in the bath. Why don't you put yourself in?" 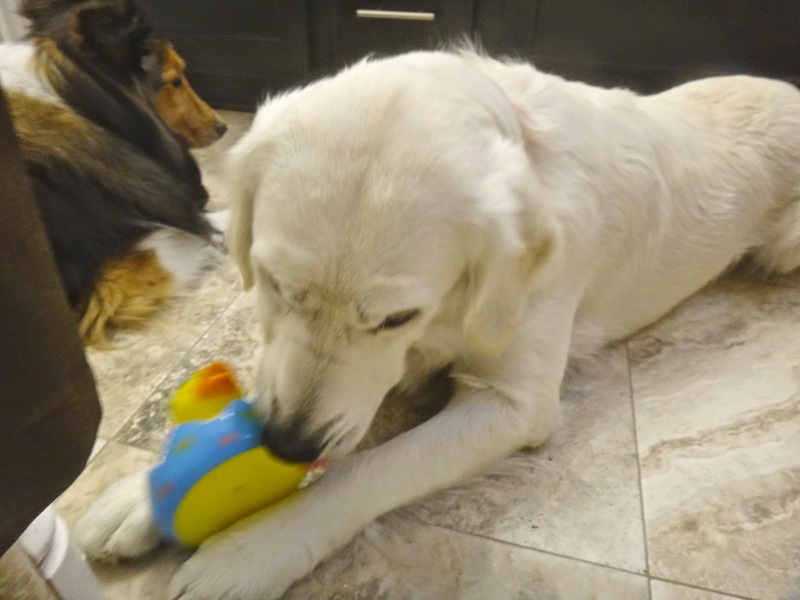 Duckie boy: "I'm Duckie boy. Nice to meet you." Kona: "I'm Kona. You are cute♪"
Kona: "Let's take you out♪ (Bite!)" Ehime: "Fu fu♪ Phantom of thief, Ehime is here!" 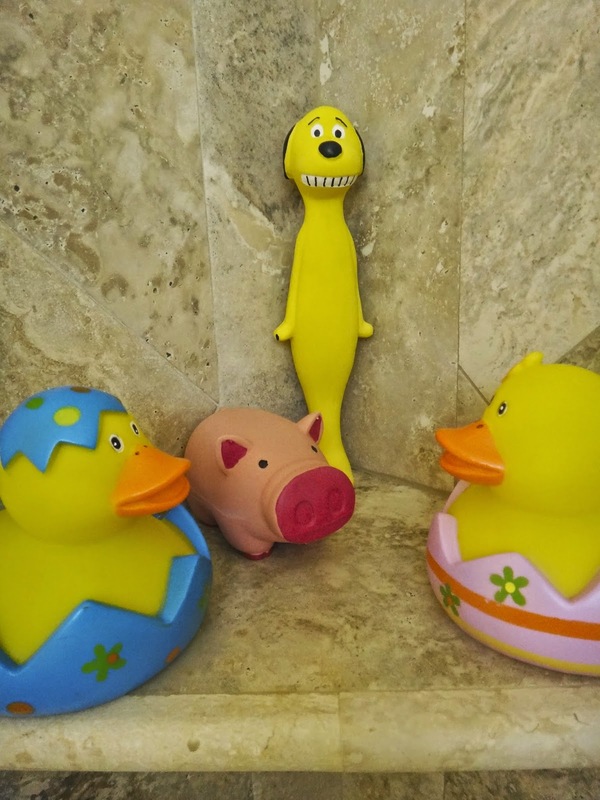 Duckie boy: "He... help me!!" 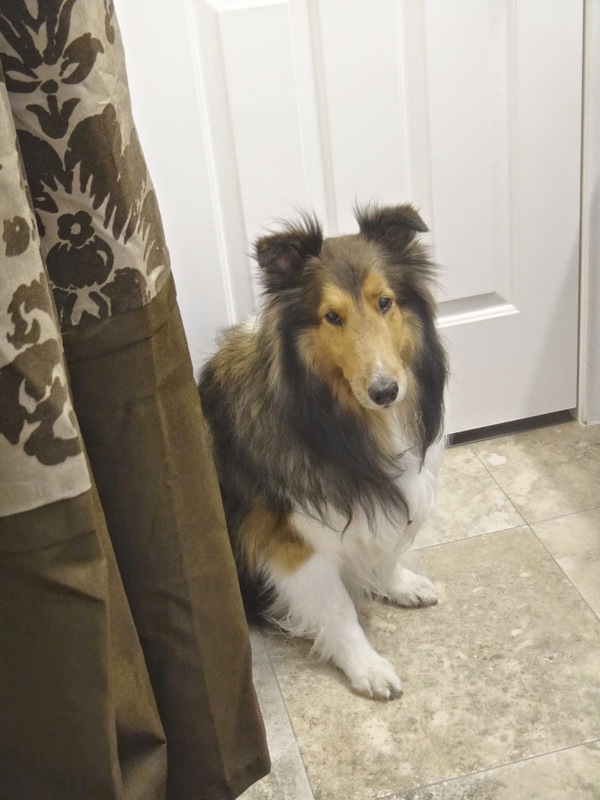 Kahlua: "So, when is my bath turn?" Mommy: "Oh, my gosh! You are amazing, Kona! You are wonderful! 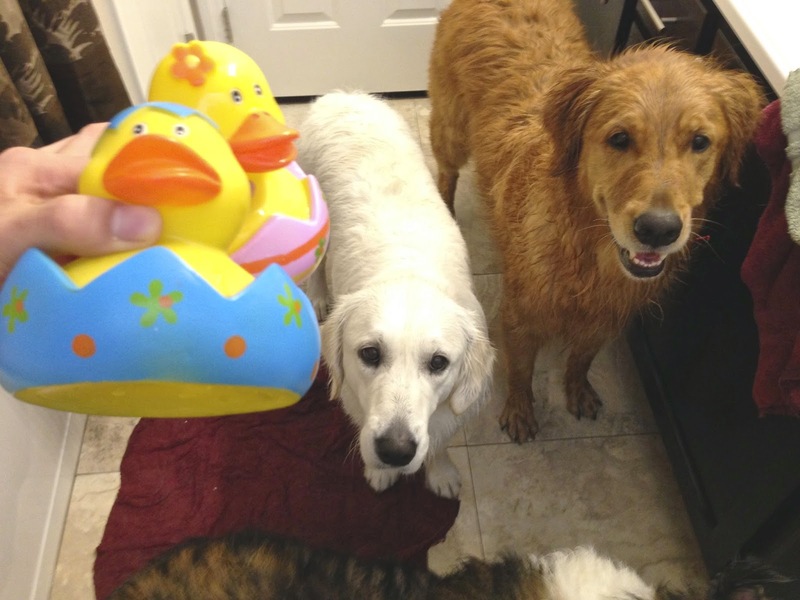 This is the power of ducks!" Kona went out after a little while. 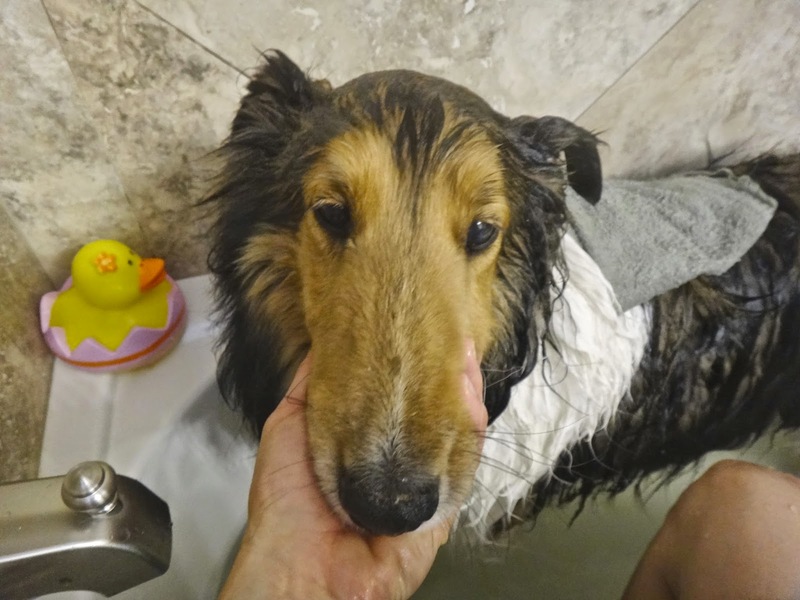 So I washed Ehime and Kahlua in the bathtub." 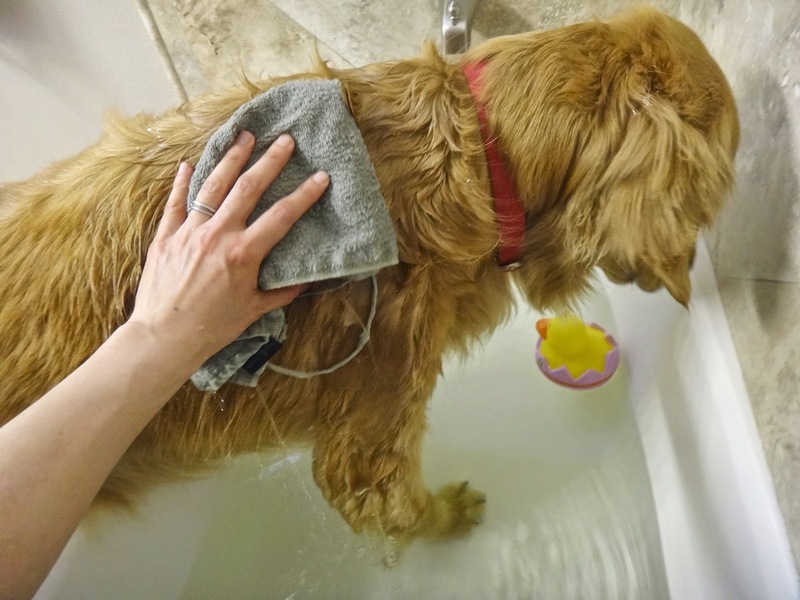 Kahlua: "Can you keep washing me for the next 10 minutes?" Mommy: "How much do you love to take a bath, Kahlua..."
Mommy: "Kona, it's your turn. Put your whole body in!" Didn't work. 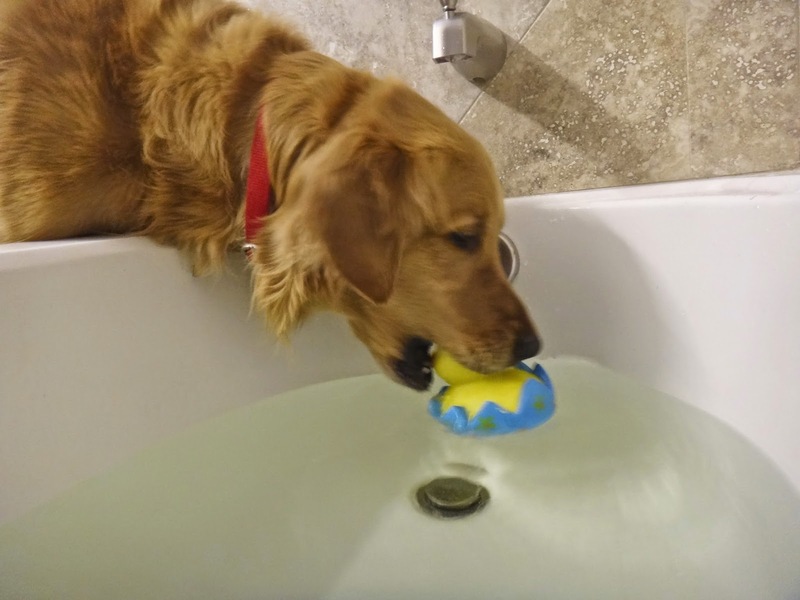 But he had a little interest in going in the bathtub today. That was big progress. 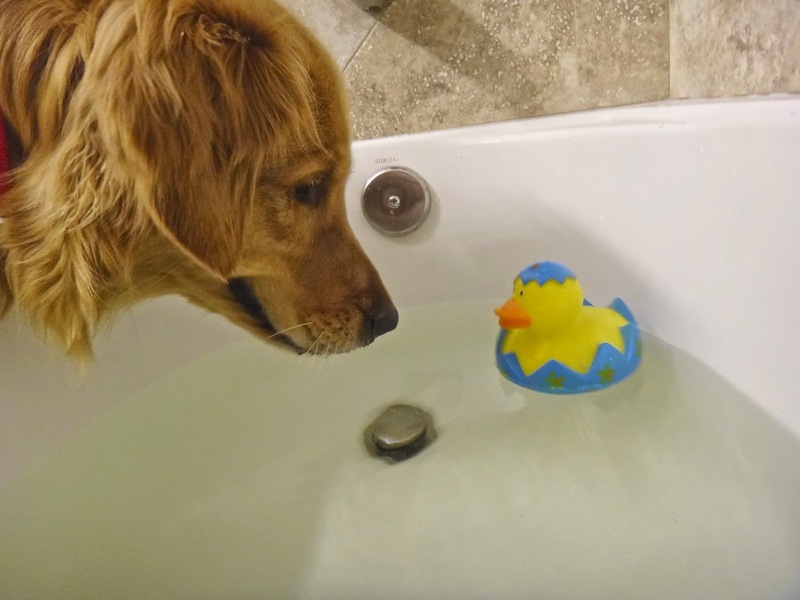 Duckie boy: "Are you still alive, Duckie girl?" Duckie girl: "Yes, for now." 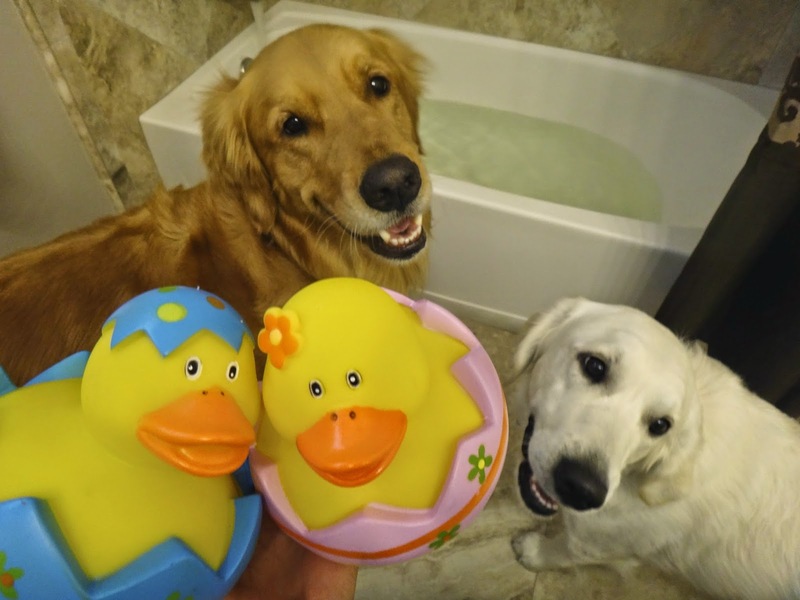 For Kahlua who wants more time for a massage than for playing with ducks, please click the puppy photo on the right above or a dog picture below. Thank you!